Avatar Blu-ray and DVD set for release on April 26 | What Hi-Fi? James Cameron's ground-breaking epic is the highest grossing film of all time, with global takings of $2.6bn at the box office, and £89.4m in the UK alone. The film recently won three Oscars for art direction, cinematography and visual effects. A limited edition Blu-ray of the film, containing four lenticular art cards and a 'survival guide' book, will be released exclusively in the UK and will be available for pre-order online only from today. Amazon is taking pre-orders for the limited edition Blu-ray disc for £24.99, or the DVD at £9.99. Alternatively, Play.com will sell you the standard Blu-ray for £14.99. 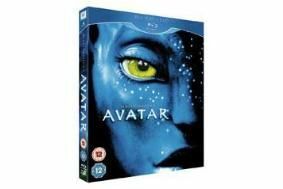 "Recognised for its optimum picture and sound, Avatar's masterful cinematography, art direction and visual effects lends itself to awe-inspiring clarity when viewed on Blu-ray disc," says Twentieth Century Fox. The studio has yet to announce a release date for the 3D version of the film on Blu-ray.